Scape East student accommodation is located in Mile End, London across the road from Queen Mary, University of London. 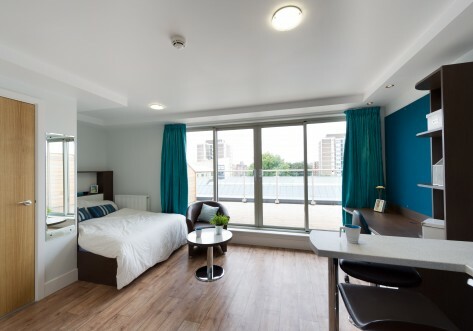 Our luxury student studios are conveniently located for students at University of the Arts, LSE, and City University all within 20 minutes by public transport. Scape private halls have everything you need to make the most of your time at university while studying in London. Our friendly reception is open all day, everyday, and our team is always happy to help – whether it’s helping you settle in at Scape or around London, or just for a friendly chat. With secure key access and 24/7 security, you'll always feel safe at Scape. Study in our quiet study areas, or hang out in our first floor lounge with TV and games tables. You can cook with friends in our communal kitchen, or get some exercise in our private gym. Our Social Team of students put on monthly events and write about study tips and what’s on in London in our blog. Nearest London Underground station: Mile End (Central, District and Hammersmith & City lines). Situated just across the road from Queen Mary University adjacent to Regent’s Canal, we are also conveniently located for many London universities. Students can reach Tottenham Court Road, Bloomsbury and the City of London in 20 minutes or less. Scape East is a short distance from the trendy bars and restaurants in Hoxton Square and the entertainment district of Shoreditch including Broadway Market, Spitalfields, Columbia Road and Brick Lane’s Curry Mile. Exclusively designed en suite studios. Every Scape Studio features a fully fitted kitchenette with a breakfast bar, plenty of integrated storage, cosy bed, integrated study area and a striking en suite bathroom. These rooms face Queen Mary University. These rooms face south, offering views of Canary Wharf when on higher floor. The window seats offer a more expansive feel to the room and provide a comfortable place to relax, study or hang out with friends. Our standard windowseat studios still come complete with a stylish en suite shower room, fully fitted kitchenette, integrated study desk and comfortable bed with a colourful cushion that transforms it into a sofa! At approximately 16 square metres, these studios are situated throughout the building and provide the same efficiency of the Standard Studio with a little more floor space and a desk that is over three times as large as the standard study desk. Some students even use the extra space for their flat screen TVs or a printing station. Complimented by the same luxury en suite, comfortable bed, kitchenette and breakfast bar, the Medium Studio is the studio for those looking for that little bit extra. At approximately 16 square metres, these studios are situated on the ground floor at the back of the building and provide the same efficiency of the Standard Studio with a little more floor space and a desk that is over three times as large as the standard study desk. Some students even use the extra space for their flat screen TVs or a printing station. 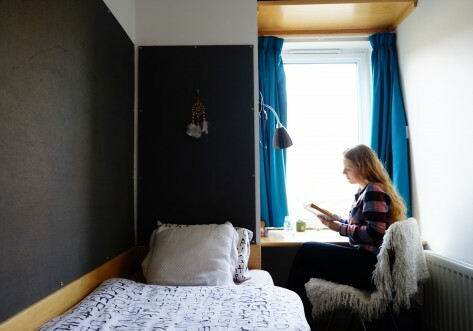 Complimented by the same luxury en suite, comfortable bed, kitchenette and breakfast bar, the Medium Quieter Studio is the studio for those looking for a quieter place to study. Medium View Studio - SOLD OUT! 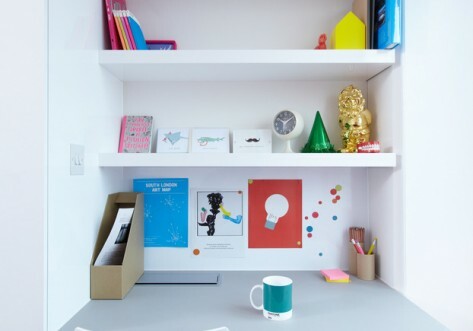 At approximately 16 square metres, these studios offer the same efficiency of the Standard Studio with added floor space and an extended study desk. Complemented by the same luxury en suite, comfortable bed, kitchenette and breakfast bar, the Medium Studio is the studio for those looking for that little bit extra. Medium View Studio overlook the Canary Wharf and it is south facing. Standard Quieter Studio - SOLD OUT! Exclusively designed en suite studios. Every Scape Studio features a fully fitted kitchenette with a breakfast bar, plenty of integrated storage, cosy bed, integrated study area and a striking en suite bathroom. 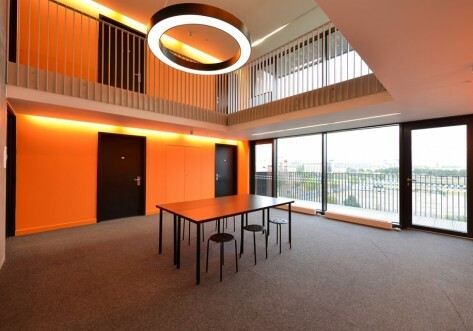 These rooms are located on ground floor at the back of the building for peaceful study.